Have you experienced Americas Best RV? Help others learn about this company by sharing your first-hand information with other road-trippers. 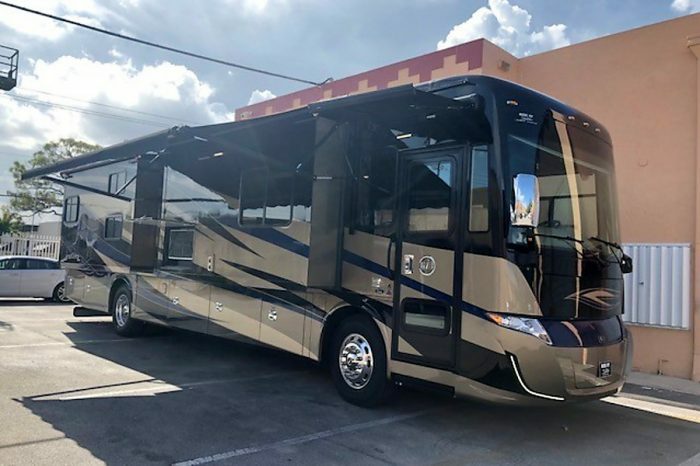 Taking you on a smooth journey, Americas Best RV revolves around a very large fleet of high-quality Class A and Class C motorhomes. 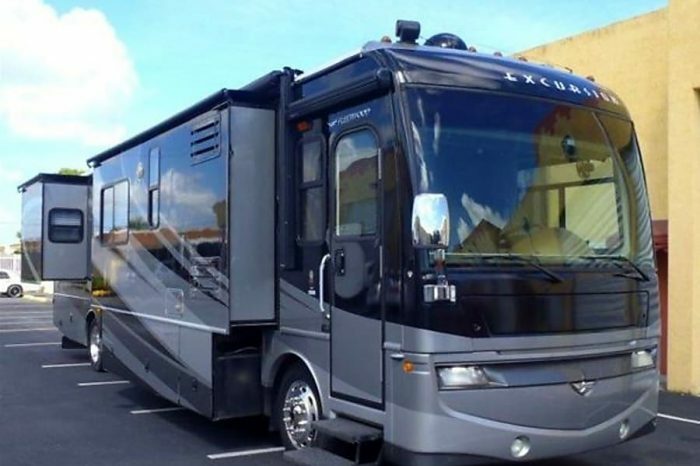 This Opa-locka-based RV hire is all about luxury vacation for large families and friends. 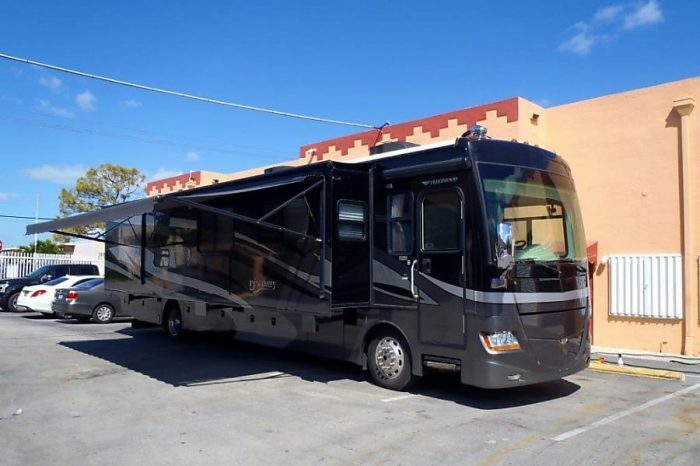 Americas Best RV is a luxury rental in Opa-locka, Florida that caters to large groups. 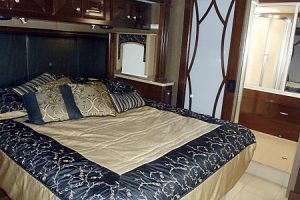 They have been in the RV business for more than 15 years, allowing them to expand their fleet of RVs. 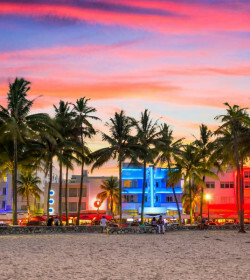 With in-depth experience, the company is one of the rather popular RV rentals in Miami that permits renters to travel not just in the USA but also into Canada. They are open from 9 am - 5 pm, Monday to Fridays. 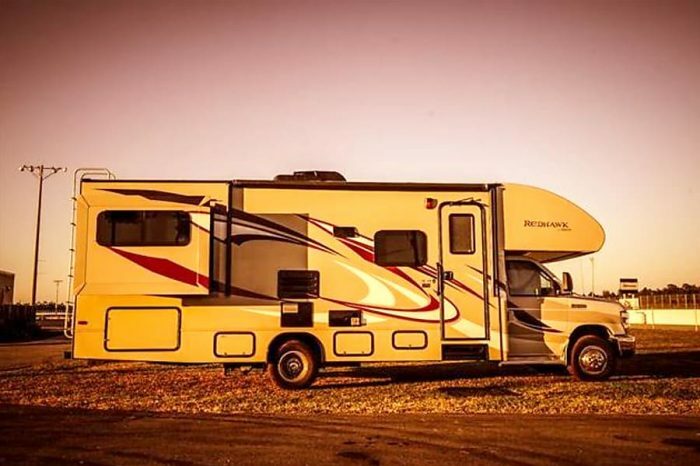 The rental fleet is composed of mostly automatic Class A motorhomes and few Class C RVs. 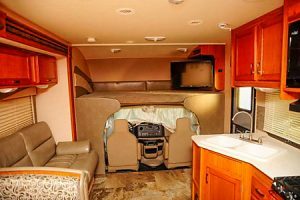 These RVs are meant for luxury road trips, with each rental featuring 4 hours generator use and 100 miles per day. Mileage is around 8-10 miles per gallon. All units are equipped with water and prepared dump tanks. 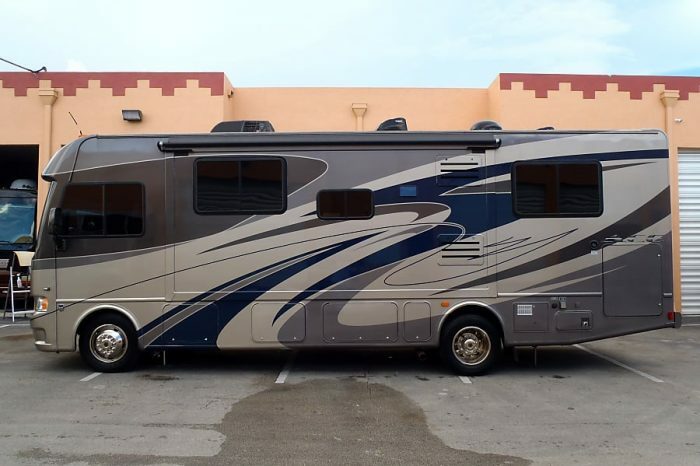 At 44', the Thor Motor Coach Tuscany easily sleeps 7 people. 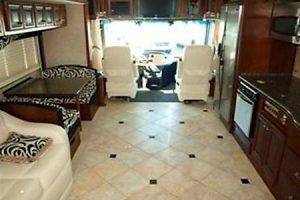 This automatic motorhome has a beautiful entertainment center situated before the rear bedroom―a big TV with DVD. The full kitchen is equipped with microwave, oven, refrigerator, stove, and kitchen sink. There are lots of overhead cabinets inside for extra storage. 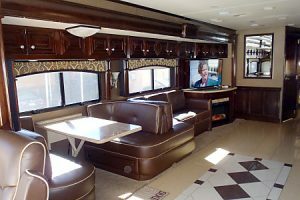 Another Class A is the 30' Thor Ace that features an adjacent U-shaped dinette and sofa sleeper. A drop-down bed at the front area adds an extra sleeping area for passengers onboard. 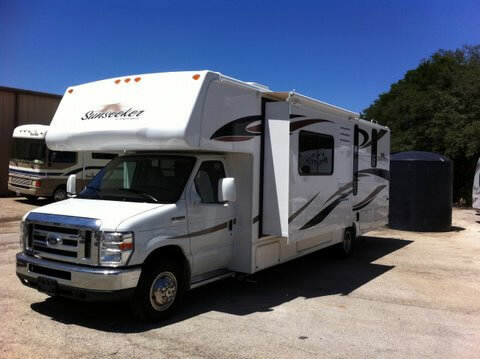 This one is smaller compared to the other Thor model but it still accommodates up 6 people. The biggest Thor model accommodates up to 10 people. 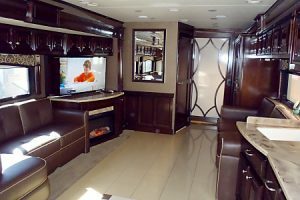 This 37' RV highlights a sophisticated black and brown interior design. The drop-down bed at the front comes with a ladder and there's an extra carrier storage at the back area for your outdoor equipment. 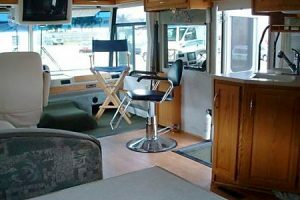 A 6 berth Class A, the Fleetwood Discovery has a length of 40' and sleeps up to 6. The unit is one of the mid-range models on fleet featuring 2 slide-outs. 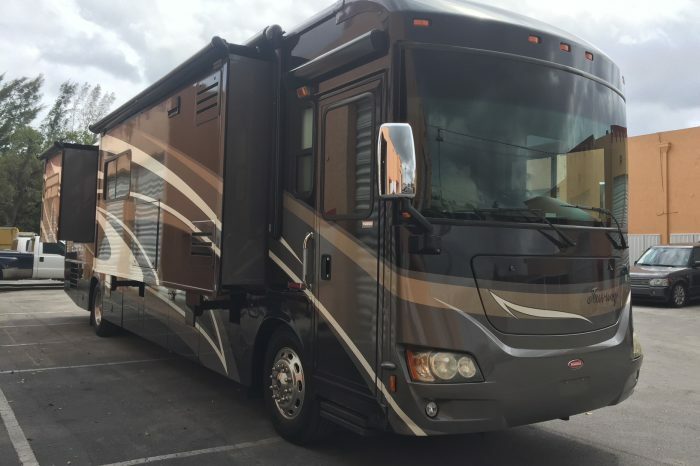 One of the largest units on offer, the 40' Fleetwood Excursion is the best option for a family of 6 looking for a very spacious living room. Equipped with multiple slide-outs, you can enjoy the large sofa and dinette beds, roomy kitchen, and epic entertainment set. 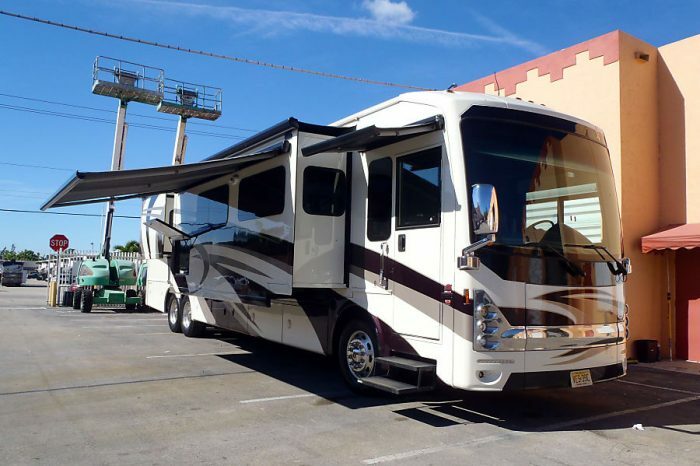 Also from the Fleetwood category, the 28' Fleetwood Storm features a rear slide-out and extra dinette slide. Surprisingly, this one shelters up to 6 people, and the double bed at the back is furnished with a TV. The U-shaped dinette becomes an extra bed for two. This is the cheapest Class A on offer. These Fleetwood series come in two variants, the 40' and 43' Class A vehicles. Both units house up to 6 people comfortably. The bigger unit, of course, is pricier and more spacious with the extra 3 slides― one full slide and two slides at the other side. The smaller unit, on the other hand, also has multiples slides, allowing an extra sofa bed to be positioned beside the kitchen. 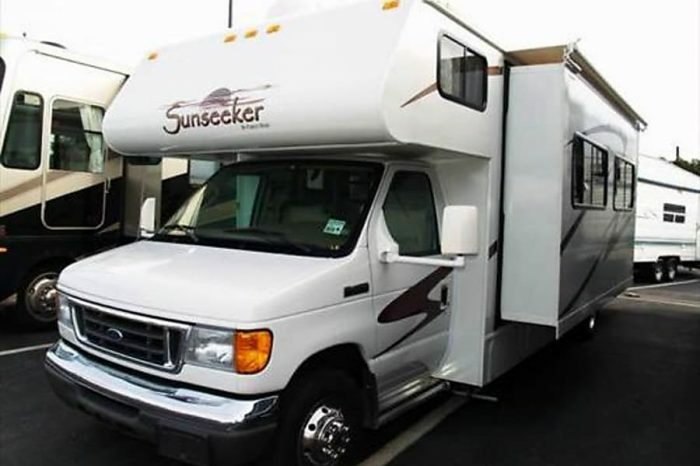 There are two Itasca Suncruiser models, both are 37' and are priced the same. 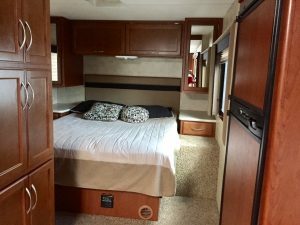 The vehicles are roomy with equipped sofa sleeper, dinette bed, full kitchen, complete entertainment set, and lots of overhead cabinets. These 4 berths are great for those who'd prefer a palatial living room. 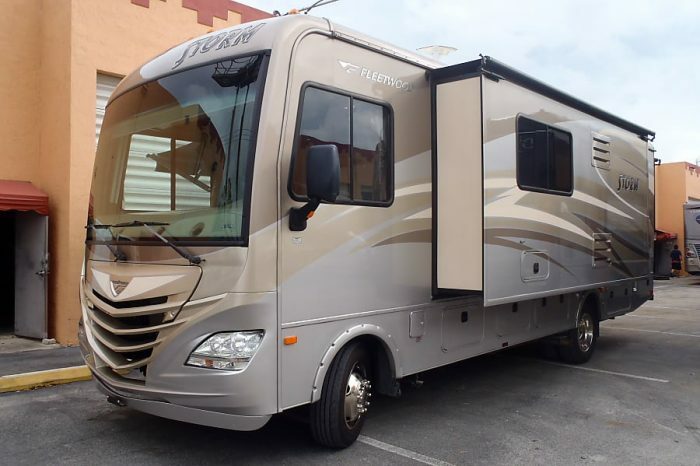 A modern vehicle, the 2018 Tiffin Allegro is a sought-after choice among big families. Because of its length at 40' and slide-outs, it can sleep 8 without feeling cramped. The interior layout is well-designed for a more sophisticated look. Before the rear bedroom, there's a small entertainment area with TV and fireplace. Now, let's welcome the Winnebago series, starting with the Winnebago Journey. 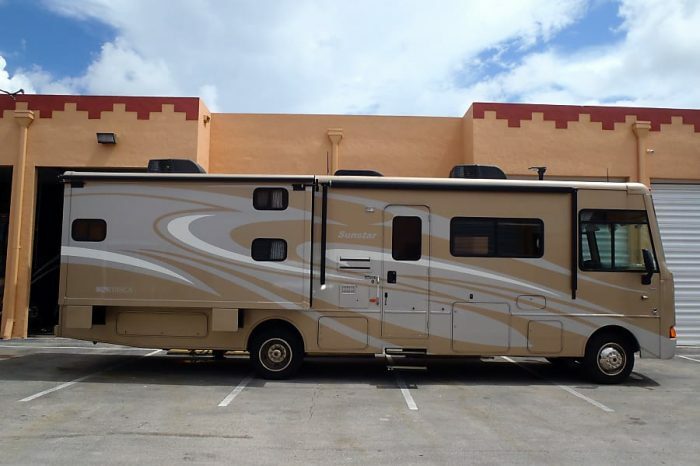 This 6 berth motorhome is another spacious Class A with all the amenities you need, including a fully-equipped kitchen, shower and toilet, two sofa sleeper, dinette bed, and TV. 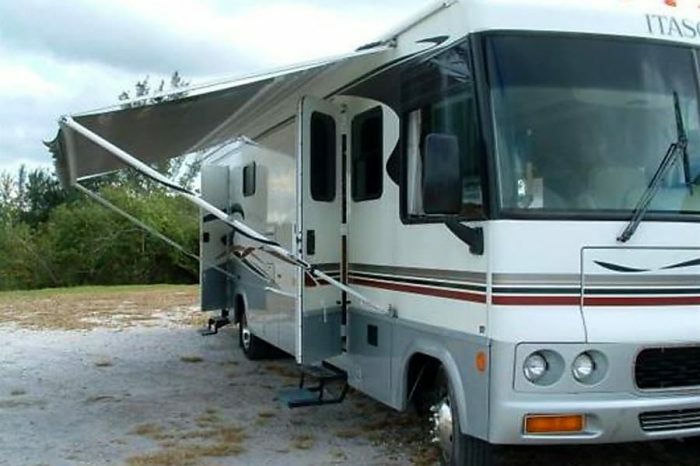 The 33' Winnebago Sunstar is one of the cheapest Class A RVs that strikingly accommodates up to 8 persons. This unit is a bunkhouse model that furnishes slide-outs for a roomier interior. The L-shaped kitchen is positioned adjacent to the bunk beds and right before the bathroom. 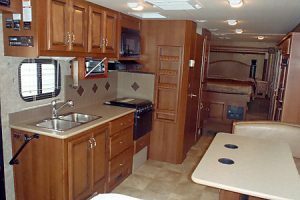 So, after the numerous Class A options, let's delve in the Class C fleet, beginning with the priciest option―the 26' Jayco Redhawk. Sleeping 4 to 6 people, the vehicle is rigged with two slide-outs, one at the rear double bed and the other at the dining area. 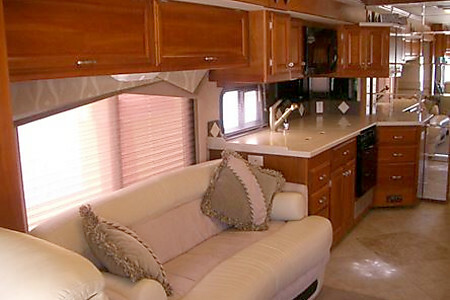 If you're a group of 5 wanting an overly spacious Class C, you got this Forest River Sunseeker as your motorhome. At 31, the unit is equipped with everything you need, plus some extra space and storage. 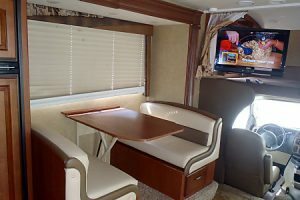 The biggest and the cheapest, this 31' Class A is great for a family of 8, with sleeping areas at the cab-over bed, dinette bed, sofa sleeper, and rear double bed. Cab-over bed comes with curtains for added privacy and swing arm TV. Renters are given the option to provide their insurance coverage through an insurance binder from their own auto policy. If not, they can purchase insurance from the company. Further, renters are required to provide a security deposit of $500 deposit at the time of booking, which will then charged to a credit card. 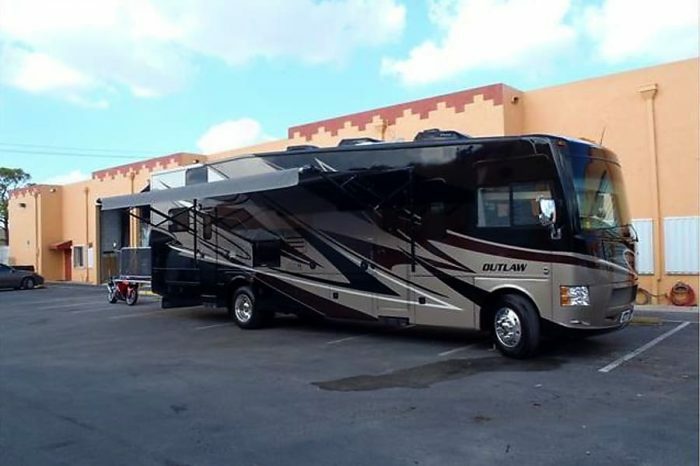 With Americas Best RV, you'll have plenty of motorhomes to choose from, from Class A to Class C RVs. 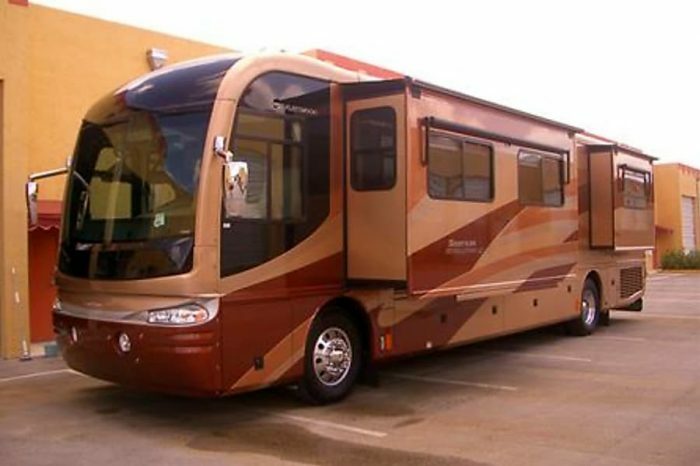 These 4 to 10 berth luxury motorhomes are ideal for large groups. The company has over 15 years experience, adding to their good reputation. However, do take note that they may not be the cheapest and some units aren't all brand new. Looking for a luxury road trip for your big family? 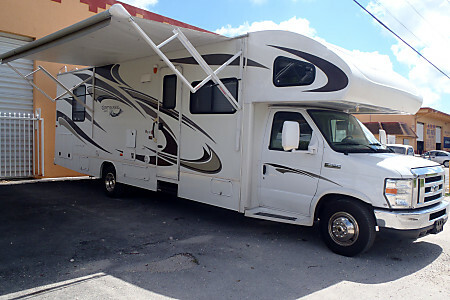 Americas Best RV can help you tour around Florida and even up to Canada with their extensive fleet of Class A and Class C motorhomes. Have you experienced Americas Best RV?